* A wireless display receiver and wireless dock for mobile phones, tablets and laptops with Windows 10 Continuum. Also for Windows 8.1 and Android 4.2+ devices with Wi-Fi Miracast or Intel WiDi support. 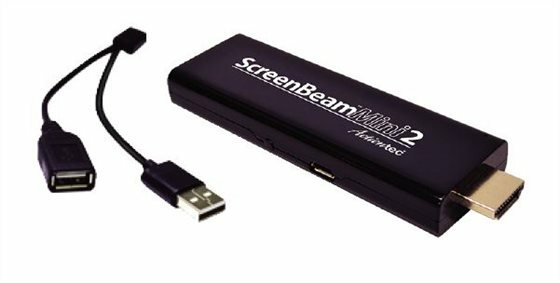 * ScreenBeam Mini 2 Continuum Edition lets you wirelessly dock Windows 10 mobile phones and tablets to a monitor, keyboard and mouse to get things done, like you would on a PC! * Designed specifically for Windows 10 devices, users are able to get a PC-like experience from their smaller form factor device allowing them to fully enjoy their devices portability on-the-go, and harness its awesome power when wirelessly docked with ScreenBeam Mini2 Continuum Edition.